Could You Crack This Simple Nuts and Bolt Puzzle? There is nothing more frustrating than not being able to get a nut and bolt apart. Muttering under your breath ‘lefty loosy’ while spraying WD-40 everywhere. If these kinds of tasks leave you cold, The "Nut Case" puzzle by Hanayama is not for you! The apparently simple nut and bolt puzzle is anything but simple! Constructed entirely of metal, the nuts and bolt puzzle is made of two freely movable nuts trapped on a bolt with bolt heads each side, the challenge is to ‘open’ the bolt to free the nuts and the surprise that lays inside! YouTube's puzzle guy, Mr. Puzzle has created a video revealing all the secrets of the tiny game. But beware, this is a spoiler video! You can hear when moving the bolt, that it is actually hollow and is formed from two pieces of metal. Each metal piece has parts taken out of its body so the two can slide together into each other's voids forming the cylindrical bolt. The nuts meanwhile are more than meets the eye. They have gaps in their internal threading which means when orientated in a specific way they can slide freely onto one half of the bolt. 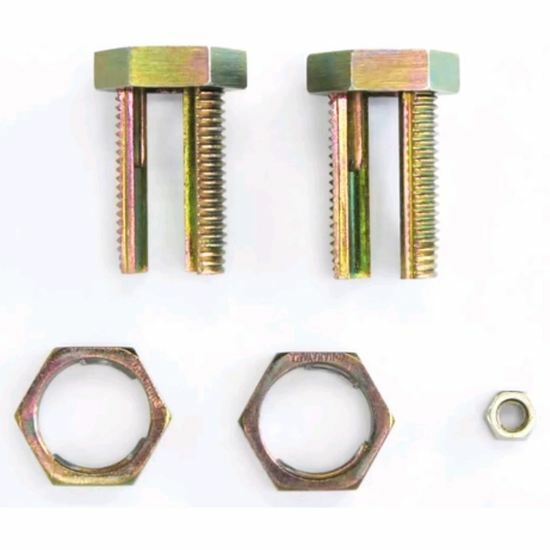 Here's a picture of this insane nuts and bolt puzzle to help make it clear, and there's a detailed solution at the end of Mr. Puzzle's video above. Once you have the tricky toy open you’ll discover a smaller nut. If you wanted to use the magic bolt as a stowaway destination, your treasure would have to be pretty small. But you can guarantee it will be safe from all but the most fanatical puzzle solvers.